It has always amused me when I see weekend hacks open a new box of Titleist golf balls, remove one from its sleeve, tee it up and then launch it into the woods. After all, we are talking about a premium golf ball that is engineered for the worldâ€™s best players right? Do they really have any business playing a Titleist? I also get a kick out of the narrow-minded amateur who insists the only ball he or she can play is a Titleist. The reality is these same players couldnâ€™t tell the difference between a ProV1 and a crusty range ball. Maybe itâ€™s just me, a 15-handicap who isnâ€™t even sure if he can tell the difference, but I never jumped on the â€œTitleist or bustâ€ train and could debate back and forth with these guys for hours that there are a variety of golf balls that offer equal performance characteristics. What isnâ€™t debatable however, is the undeniable stranglehold that Acushnet has had on the golf ball industry since the introduction of the Prov1 golf ball franchise in 2000. Last year alone, Titleist golf ball players recorded 29 PGA Tour victories, 24 European Tour wins, 23 Champions Tour wins, 23 Nationwide Tour wins and 17 LPGA Tour wins. Not bad at all. So why mess with a good thing? If it aint broke, donâ€™t fix it right? Maybe thatâ€™s what you or I would do if we were at the helm, but the R&D team at Titleist unveiled the 2009 version of the ProV1 and ProV1x and are promising more length off the tee, improved cover durability and scoring performance. Not only did Pat Perez make TaylorMade Golf very happy when he became the first player to win on the PGA Tour with the sensational new R9 driver, he was also the first to validate the new ProV1x. A few weeks later, Mark Wilson became the second player to win using a ProV1x when he won at the Mayokoba Classic. Okay so the ball plays well on tour, but what are the performance benefits to the average golfer? The time had come for this THP writer to tee up a Titleist and check my preconceived notions about the ball and the snobs who play it at the door. JB sent me a dozen of the new ProV1 (09) and it was go time. For someone who had never played a Titleist (except for the occasional DT Solo that I stumble across in the woods when my gamer escapes me), I have to admit that it was a neat feeling to look down on the thin cursive â€œTitleistâ€ that I had ignored my entire golfing career. It was almost like I was traded from the Kansas City Royals to the New York Yankees and I was donning my pinstripes for the first time. I was teeing up the best in the business and surprisingly, it infused a great deal of confidence in my game. The company claims that players will see added distance off the tee which can be attributed to its three-piece multi-layer construction. After a round and a half using the ball, distance gain wasnâ€™t the story for me. As someone who fights a slice, I was more impressed with the amount of fairways that I hit. Even when I put my 95 MPH swing on the ball that was conducive to a slice, I saw the ball travel at a lower trajectory, correct itself and stay in play. In other words, my mis-hits were tracking right, but werenâ€™t killing me. In fact, I noted that I hit more fairways in this round (at a tough canyon course mind you) than I had in about six months. Now the approach shots: I made sure that I hit multiple approach shots from 125 yards in. When I struck the ball correctly, I achieved a very desirable mid-high ball flight. The company claims the ball spins more for improved mid- and short-iron performance. I noticed this to hold true because when I stuck the greens (especially with the wedges), the ball would back-up and nestle up next to the flag stick. Now I really felt like a PGA Tour Titleist ambassador! Now if I could only putt like Camillo (ProV1 09) or Zach Johnson (ProV1x 07). 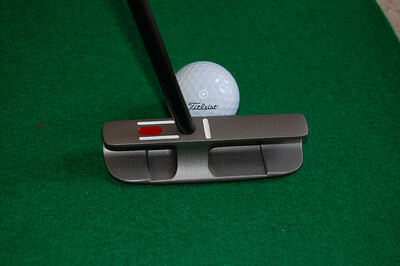 One of my favorite attributes about the ProV1 09 was the feel off the putter face. 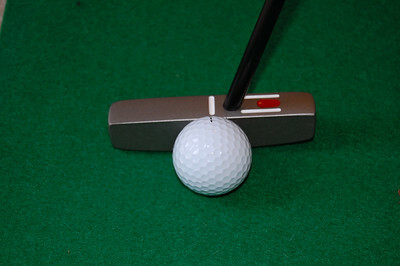 I play a milled putter face, so the softness of the ProV1 09 seemed to counterbalance the firmness of the milled putter and proved to be a winning combination. Similar to the feeling I had on the tee, I felt confident standing over the ProV1 09 on the green and as a result rolled some excellent putts. From its performance off the tee, its remarkable greenside spin and feel off the putter face, the ProV1 09 performed beautifully across the board and all but shattered my belief that double digit handicappers canâ€™t benefit from a tour-caliber ball. I would strongly recommend the new ProV1 to anyone. Heck, before my next round, I might catch myself opening a new box and boldly exclaiming to my foursome that I only play Titleist! Available now. $46 per dozen. More information at Titleist. I was impressed to see a review by someone who isn’t a +2 hdcp, first off. I agree that the better the player, the better chance we have of getting a rating of the tested equipment under perfect conditions. That being said, any ball that I hit is being hit in “less than perfect” conditions, LOL. When I was younger, I played just about any ball I could get my hands on. Lack of funding dictated that situation, and I had no issues with it. If I played in a tournament and won some gift certificate money, I might buy a dozen or two of something out of the pro shop, but not the $$$$$ Titleists. I just couldn’t justify the cost, even on gift certificate spending. When I finally decided to purchase a sleeve of ProV1X’s, many years later, I had the same impression that the tester had. It was like, “Hey, this ball IS a little different than a Wilson Staff or Top Flite XL.” It was an eye opener, for sure. Sometimes, the money spent is rewarded by a superior product. I will say that the ball market is the best it has ever been, IMHO, with many great offerings. 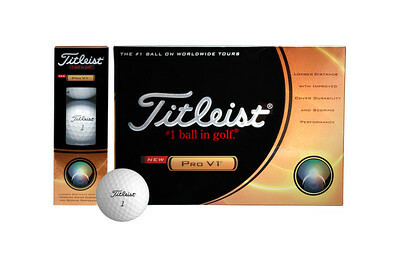 But, if you choose to go with a Titleist, you will be getting one of the premium balls that the game has ever known. Just my two-cents and I am happy that I took the time to read that review. Caleb, you did an excellent job and I hope that you continue to have the success with the Pro V1 that your test round showed you. Entertaining review Caleb! What do you mean with your Royals-Yankees reference though? LOL. Though these balls maybe the shiznit, the price tag is going to keep me from ever buying them. I’ll just wait until I find some that got lost! When I was younger and also a single digit, I would save a few dollars and buy the “distance” ball. Now that I can afford a “better” ball and have lost the distance and also lost the accuracy. I have found the Pro V1 to be the ball I want to play because it preforms consistently around the greens and stops when and where it should. Nice review. 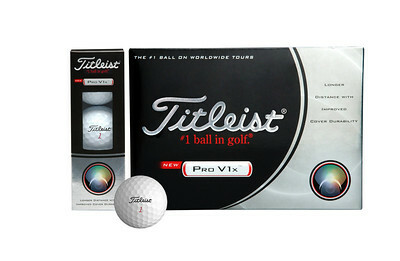 Im one of the ones who always stayed away from Titleist too, maybe I will have to pick up a sleeve and try for myself. I have been waiting for this one. Great first review Caleb. Hope we have lots more from you soon. I like the writing style. Nice work Caleb! I found your review both very informative and a very interesting piece to read! I do feel that with as many ball options that exist right now it would be silly for someone to be playing a ball that isn’t suited to their game, tough to pay $46 a doz for a ball that might not be right for me. I was really looking forward to this review and you delivered! I can’t wait to read more of your reviews, that was simply amazing. Great review, Caleb! Later in the season once my swing is in decent shape (read: not losing 3+ balls/round) I might have to finally give the Pro V1/Pro V1x a try. You forgot to add that most of the people that also insist on playing a pro-v are 25 handicappers who insist on playing from the tips. I’ve always loved these balls, especially the feel off the irons, but got tired of trying to sort through whos ball is whos on the course. I think Titleist even figured that out since you can get these balls in numbers from one through eight now. I’ve mixed it up, loved the Callaway tour, but love the Bridgestone 330RX even more. Has the great feel like the Pro-v, great distance and about five bucks cheaper a box. When I get a box of Pro-v’s as a gift, dont get me wrong, I keep them, but do yourself a favor and try some of ther balls out there. There are some great balls on the market right now. excellent review. Liked ot a lot. Still mega Expensive though!! 2nd hand all the way….till i reach single digit HC! Great review Caleb! Makes me want to put these side by side with my current gamer, Nike ONE Tour. But that was an interesting, well written review. I can’t wait for your next one! I still think the Callaway Tour ix is a better ball. It is longer, and more durable especially off the X-Forged MD grooves. I have been playing the ProVx since it came out and couldn’t get enough of them. I went to buy some during the winter and I find out they are being sued and all the balls have been taken off the shelves. Then the 2009 version comes out….the lawyers may have been on to something. I have to say I have noticed after playing a number of short and mid iron shots that these balls are shorter by 5 and sometimes 10 yards than the old version. They are no more durable than before from what I can see. I use a range finder and know my distances very well, especially with the wedges, and they don’t travel as far, period. Sorry Titleist, the Callaway Tour iX is longer and more durable. I switched for good after shooting 3 under for 9 holes with the Callaway ball and it barely looked like I had hit it. I was looking at this site for the first time and I was very impressed. Very good job and posts here. The 1st part was really great and very occurate.. we have to thank you. and you may be interested also in this packaging machinery and used packaging machinery site for your reference. please keep updates on your posts.